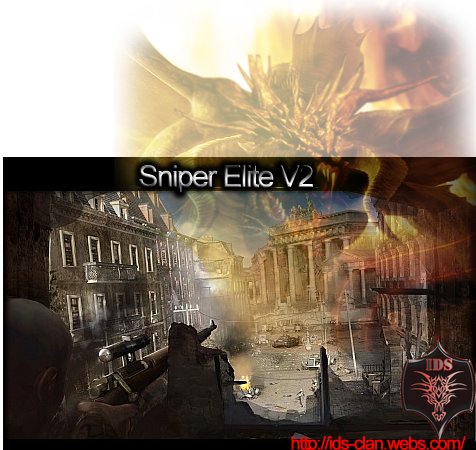 Sequel to Sniper Elite from year 2005 comes in 2012 with name Sniper Elite V2. Sniper Elite V2 will be a modern take on Sniper Elite for the current generation of consoles. Publisher 505 Games and developer Rebellion today announced Sniper Elite V2, a sequel to Sniper Elite, will be released for the PlayStation 3 and Xbox 360 in 2012. "It's very exciting to be working with one of the new breed of major publishers like 505 Games," said Jason Kingsley, CEO of Rebellion. "Sniper Elite was an important, genre-defining property and we’re hoping to have even greater success by teaming up with the talented guys at 505." It's fantastic for us to be involved in the world of Sniper Elite again," Chris Kingsley, CTO of Rebellion, added. "We look forward to winning even more awards with Sniper Elite V2 and wowing the consumers with what will be a great game." "We’re very excited to be working with Rebellion on this highly anticipated sequel. Sniper Elite has always been the benchmark of the genre and never been bested....until now," said Ian Howe, Managing Director of 505 Games. "We guarantee that the sequel will be the most authentic WW2 sniping experience ever – not just in terms of weapon ballistics, but also in delivering the heart-pulsing tension of those do or die moments where one shot really does matter." Details on exactly where Sniper Elite V2 will take the series are, however, extremely scant. Developer Rebellion merely states that the game will be available for the “current generation of consoles” – so it’s not clear whether there’ll be a PC version this time round. 505 Games is currently riding high in the UK game chart, securing its best position ever with Zumba Fitness bagging the number two spot after its release on the Wii. Re: Sniper Elite V2 coming! After an overwhelming response from PC gamers, Rebellion announce that they plan to self-fund a PC version of their upcoming sharpshooter sequel, Sniper Elite V2. Sniper Elite V2 is the sequel to the 2005 tactical shooter, which asked players to perform stealth missions based on the backdrop of World War 2. From what little we know so far, the sequel looks to be staying true to these roots, directly continuing the franchise in the same time period as before. There is no set release date for the sequel yet, but more information is expected in the months to come. While initially the game will only be available as a digital download through Steam, Rebellion are currently looking for possible partners to put out a retail release.